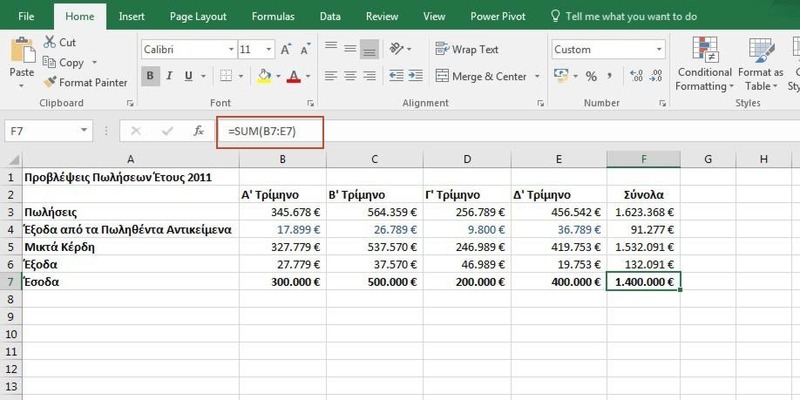 In Excel 2016 and in previous version of Excel, we have the option to display the Formulas in the Cells instead of the Calculated Results. This comes handy, if we are working in a Worksheet with a lot of Formulas in it and we want to understand how all these Formulas relate to each other. This way we can track the data that is used in each calculation so we can quickly check our Formulas for errors. The procedure to quickly display Formulas in Cells is described in this post. As we can see in the following image the Cell F7 is activated. In this Cell, we see the Calculated Result instead of the Formula. The Formula can be seen in the Formula Bar, where in this example the Formula is =sum(B7:E7). Έχετε ποτέ θελήσει να δημιουργήσετε επαγγελματικές Διαφάνειες (Slides) στο PowerPoint; Έχετε θελήσει οι Διαφάνειες (Slides) να έχουν υψηλή ποιότητα; Το μόνο που πρέπει να κάνουμε είναι να Εισάγουμε (Insert) μία Εικόνα (Image) στην Παρουσίαση (Presentation) και απευθείας εμφανίζεται οι Ιδέες Σχεδίασης (Designer) όπου θα μας παρέχει Ιδέες για τον Σχεδιασμό της Παρουσίασης (Presentation). Απλώς επιλέγουμε μία από τις Ιδέες (Ideas) και τελειώσαμε. 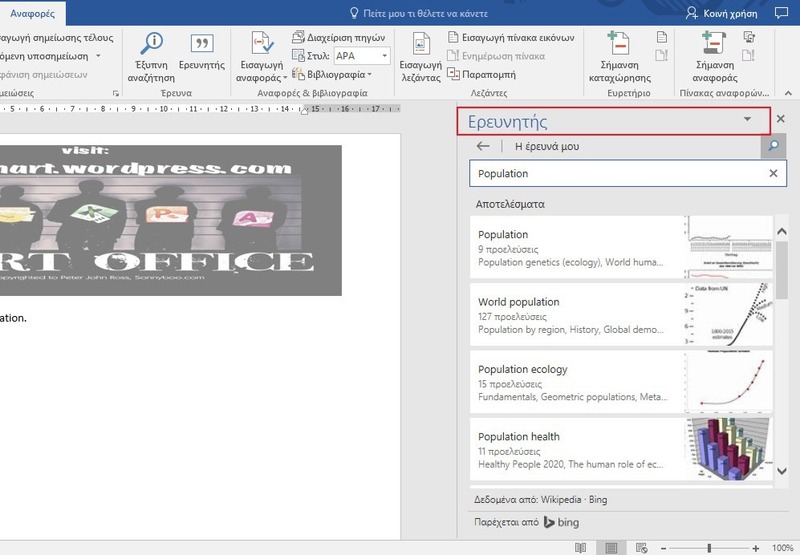 Με τη χρήση της Ιδέας Σχεδίασης (Designer) έχουμε έτσι αρκετό περισσότερο χρόνο για να συγκεντρωθούμε στην Παρουσίασή (Presentation) μας. Παρακάτω μπορείτε να δείτε πώς δουλεύουν οι Ιδέες Σχεδίασης (Design Ideas) στο PowerPoint 2016. Have you ever wanted to create professional Slides in a few seconds? Do you want your Slides to have high quality? All we must do, is to Insert an Image in a Presentation and straight away Designer will provide us with several Design Ideas. We just select the one that we need and we are finished. By using Designer, we have more time for us to concentrate on our Presentation. 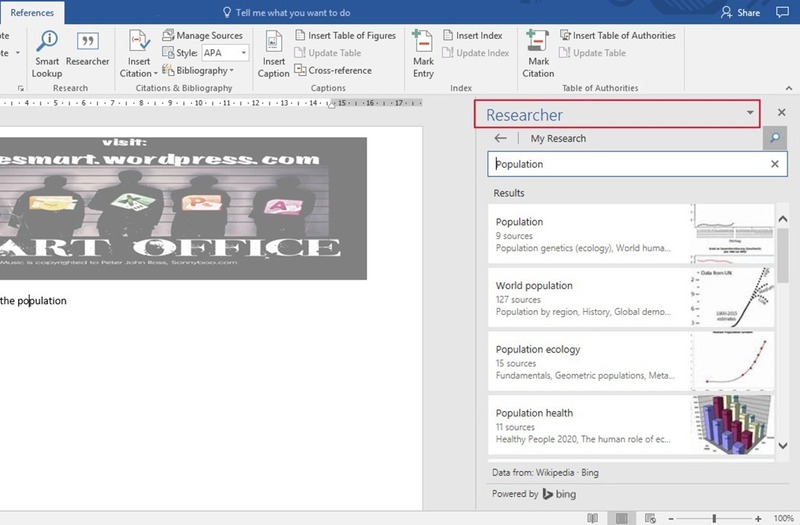 Below you can see how Design Ideas work in PowerPoint 2016.